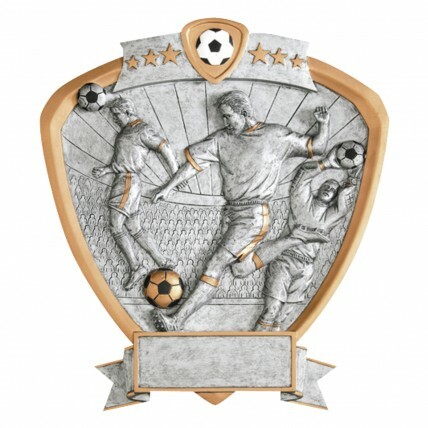 The resin-crafted, pewter-finished Male Team Shield Soccer Awards depict a trio of soccer players in mid-field action against a stadium background. This shield-shaped plaque is framed with an antique-gold-finished resin border and adorned with a black-and-white soccer ball on top of the shield. 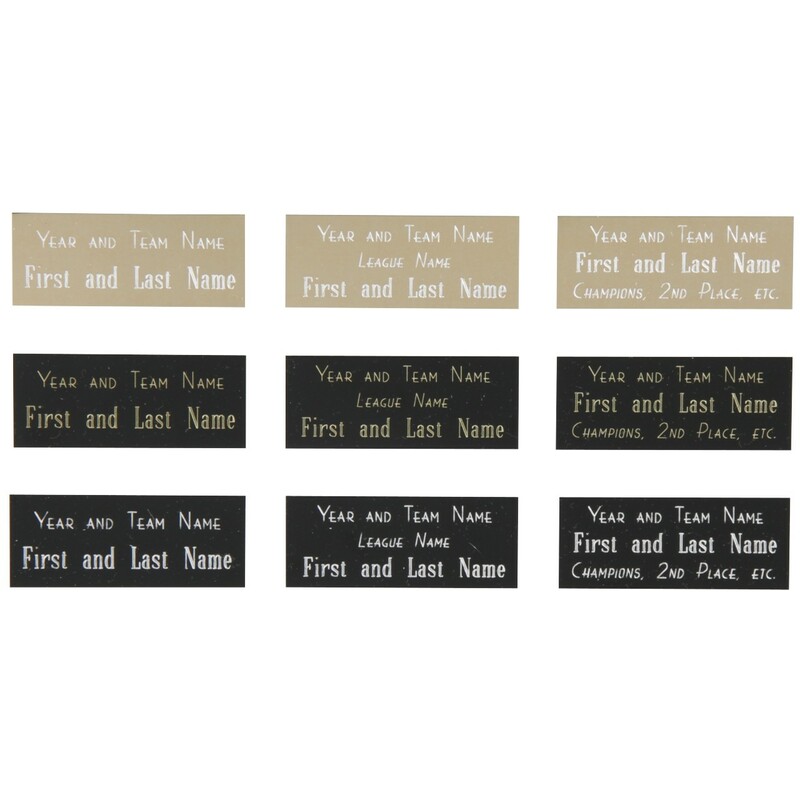 Standing at 8.5" by 8", the < i> have a hook for hanging on the wall, or can be proudly displayed on a desk our shelf with the attached standing peg.